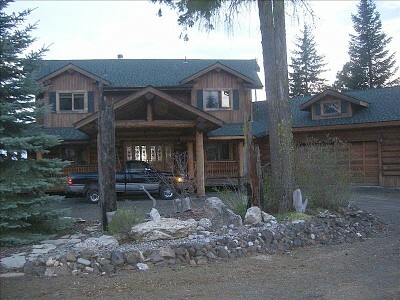 See VRBO.com -- property #299593 and/or Homeaway.com -- property #295360 for calendar, 5 star reviews and additional pictures OR call Holly @ 509-999-9708. Winter sports just 15 minutes away on top of Mt. 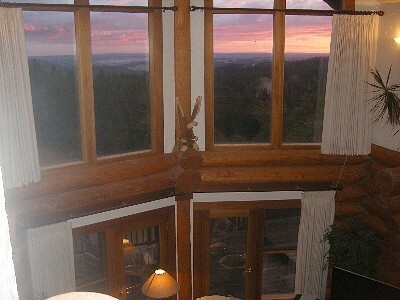 Spokane a fab part of this lux hand-hewn log vacation rental. The ridge top location on Mt. 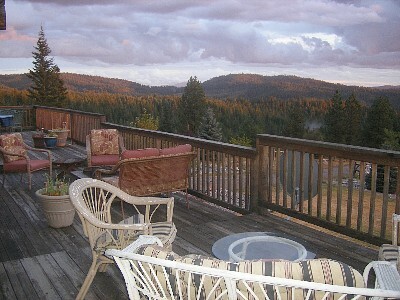 Spokane offers 360 degree views, with Mt. Spokane rising in pristine beauty behind and the lights of the City of Spokane below. Stupendous sunrises and sunsets are part of the rural setting along with an unpolluted night sky of seemingly touchable bright stars. 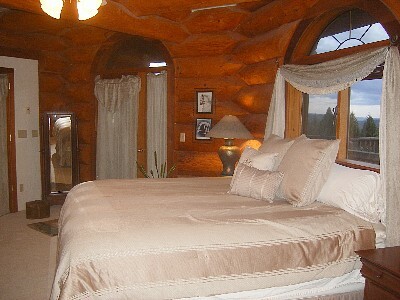 This amazing 14" log home offers 2400+ sq feet of space able to sleep 6 adults, and up to 10 with children. 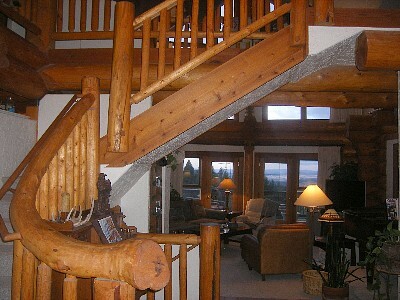 Feel welcomed by the double doors and curved staircase in the entry and wall of windows overlooking the valley in the great room. 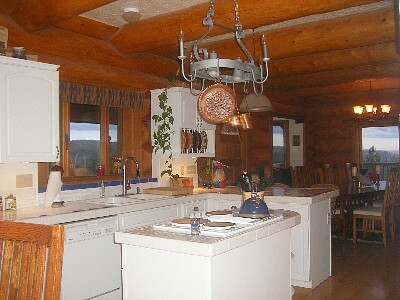 Hand-crafted rustic logs juxtapost with cream colored off-white stucco walls giving the home an additional airy feeling. The bar for your VRBO home will be appreciatively raised by: in floor heating; a large wood burning fireplace in the greatroom; mission style dining room table with comfortable seating for 10; decorative cobalt blue propane stove and comfy window seat with loads of pillows in dining room; three spacious bedrooms including a romantic master suite; 2-1/2 baths; master bath containing a large jetted bathtub, double sinks and double headed shower; loft for the kids to play in; spacious kitchen w/breakfast bar; balcony office with "get away" reading area; use of laundry room; and 2000 square feet of deck/covered porch. 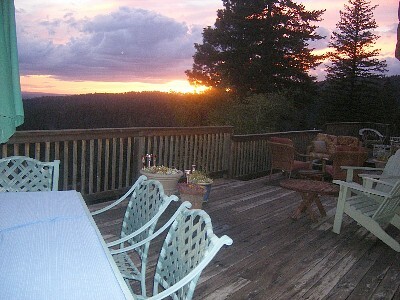 To round out this ranch’s amenities, access is only a little over a mile to Mt. 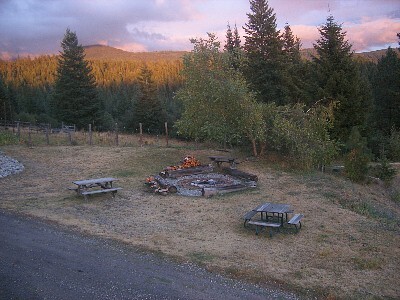 Spokane Parkway, it has a very large parking area, a drive-under portico for weather free access, and log seating around a campfire. 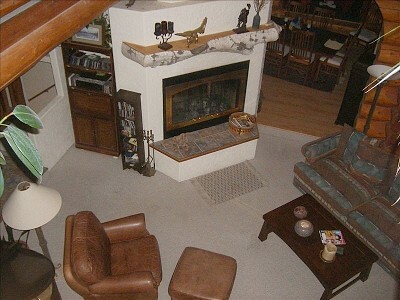 "Let them know you found this rental on SpokaneRentals.com"
Pet Details : Pet Friendly, inquire for more details.